This is a tale of two friends who were purchasing homes next door to each other. Very similar people in many ways. Both make $75K a year, both have $40K in savings, and neither one has any significant debt. Both are purchasing homes that cost $200K. The first homeowner is very wise, doesn’t like debt and quite frankly feels more secure when things are paid for. The idea is that the sooner everything is paid for the sooner he can retire! So, he decided to use his savings as a down payment and found a low interest rate, 15 year mortgage almost a half a point less than the rate on a 30 year mortgage. This left enough in his budget that he pays an extra $100 per month. Bottom line, he’ll be out of debt in less than 15 years. The second homeowner is also very wise but looks at things a little differently. He takes out a 30 year mortgage, puts down the least amount possible and doesn’t pay one extra penny toward paying off his loan early. He figures he would rather have some cash on hand and invest some money. So, he matches the amount his neighbor spends on his mortgage, plus that $100 extra payment. So, after making his 30 year mortgage payment he invests the rest. 15 years go by. The first homeowner threw a party because he has his home paid for! Now that he has no payments he is able to save what he was spending, so every month he puts it in an investment account. The second homeowner still has 15 more years of house payments, and he has never made an extra house payment. But, he does continue to add to his investment account every month. I hope this story gets you thinking! I’m not necessarily saying that you should follow the strategy of the second homeowner, because it depends on your situation and how disciplined you are. 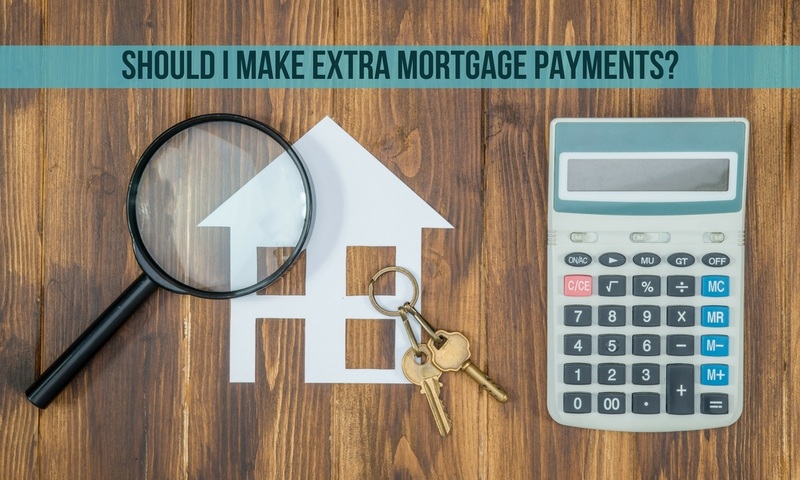 But I will say that every homeowner should have a cash reserve just in case of emergencies - then consider what is best for you in the long run!